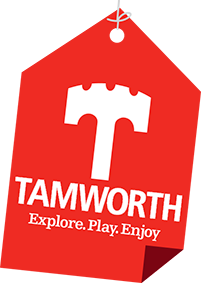 Tamworth has a rich and fascinating history as the capital of the ancient Kingdom of Mercia and some of that heritage can still be seen and explored to this day. 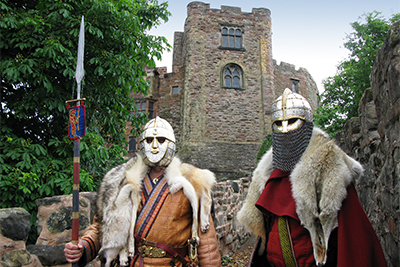 Located at the very heart of the Mercian Kingdom, the Mercian Kings spent most of their time in Tamworth between the 7th and 9th centuries. It is believed that a royal palace was situated on the site close to St Editha’s Church by the end of the 7th century. However in 874, Tamworth was attacked and destroyed by the Vikings and by 911 it had become a border town between the Danelaw and the English. There's much to explore about the town's Anglo Saxon heritage, including legends of the powerful Mercian warrior Aethelflaed, who is known to have re-fortified Tamworth in 913. The daughter of King Alfred the Great, she became known as the Lady of the Mercians. Her death in Tamworth in 918 resulted in Mercia being merged into Wessex. The iconic Aethelflaed Monument stands today at the foot of Tamworth Castle just through the Gatehouse. Download the Saxon Tamworth leaflet for more information. Today, Mercia continues to herald its importance with the discovery of the Staffordshire Hoard, the largest collection of Saxon gold ever found, unearthed not far from the Capital of Mercia. It has been dated from around 590 A.D to 750 A.D.
An exciting exhibition featuring more than 18 pieces from the Hoard will help visitors explore more about the power struggles of the Anglo-Saxon era, the battles, the blows and the bloodshed. This amazing craftsmanship is showcased at Tamworth Castle, along with artefacts that are brought to life with stunning replica weapons. 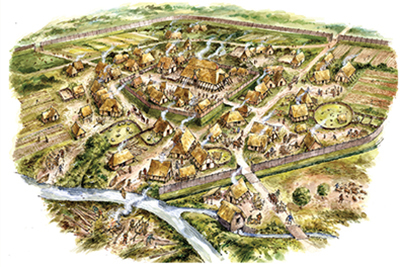 We may never know why it was buried or who it belonged to but it will hopefully, in time, unlock some of the secrets of the Saxon age and Anglo-Saxon Tamworth. 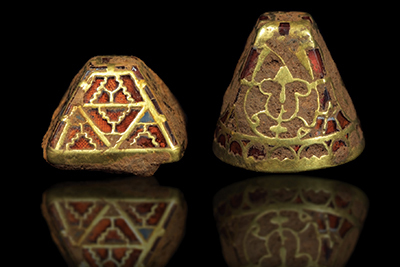 More information can be found on the Staffordshire Hoard website.